People of today are getting really attracted towards the DIY projects of all types as they lead to the best diy home decor and all the functional items saving your hard earned money. So we thought to bring an idea that can help such DIYers and crafters so that they can work in a better developed workshop with more ease and comfort. And what can be more practical for a workshop than a work bench so we decided to make it out of the pallets and bring it to you so that you can make it of your own too. 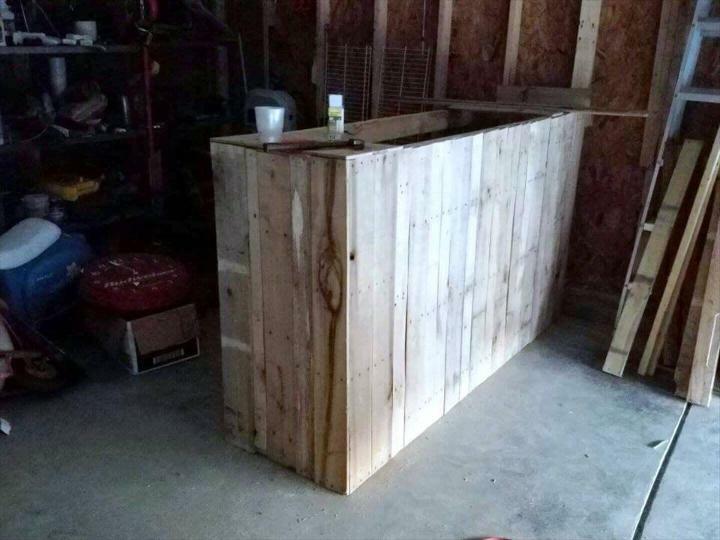 So check out this feasible in structure DIY pallet work bench that you can craft out of the pallet cut slats and plank piece of long size forming the front and side with. The top would be made out of smallest side piece depending on the width of the work bench. 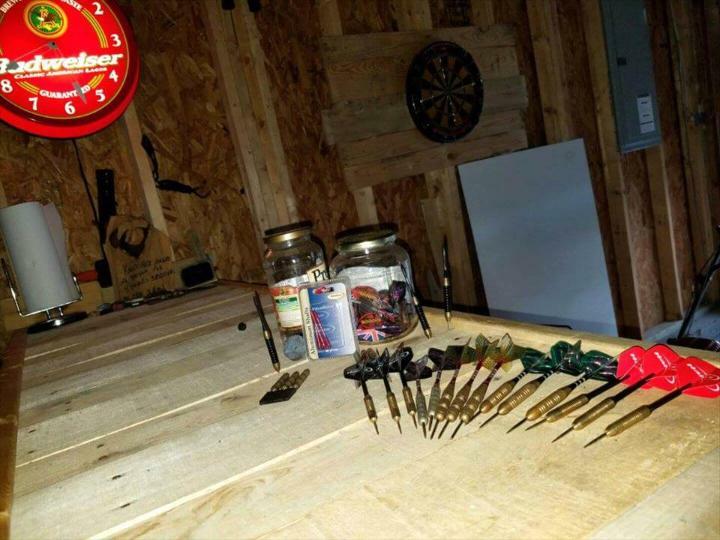 So make your designs on it, hold your items on it or anything that may ease your tasks can be performed on this functional workbench which can be made to look more jazzed up piece with a nice staining session. 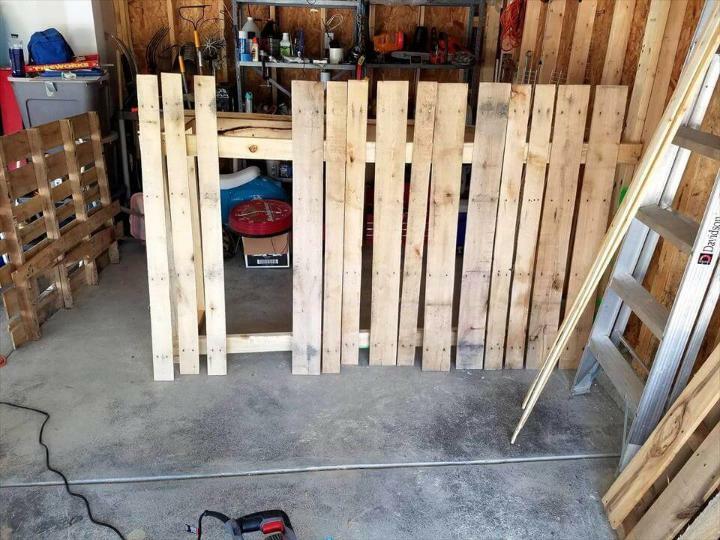 The pallets are now being widely used for all sorts of projects and so is to build this work bench and it would be done with the pallet slats so cut long size slats first to start the structure. 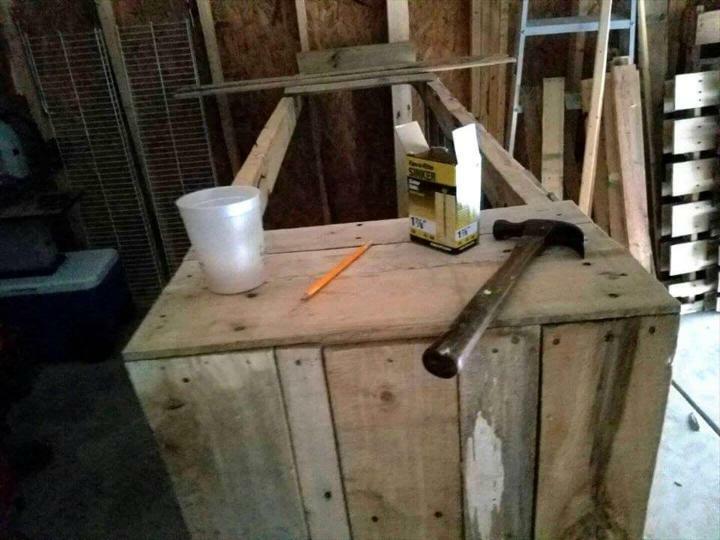 The slats and have been nailed together to form the front and sides of the work bench or counter and then the top has been formed with the small size slats being placed in vertical position. The slats have been very tightly nailed to each other to form up the its finely build structure so that you can use it sturdily for the holding of your accessories as well using it for some projects too. When you have a work shop there are just loads of things that you need to store and organize and this work bench would help you a lot to make the easy use of every tool and equipment over it. 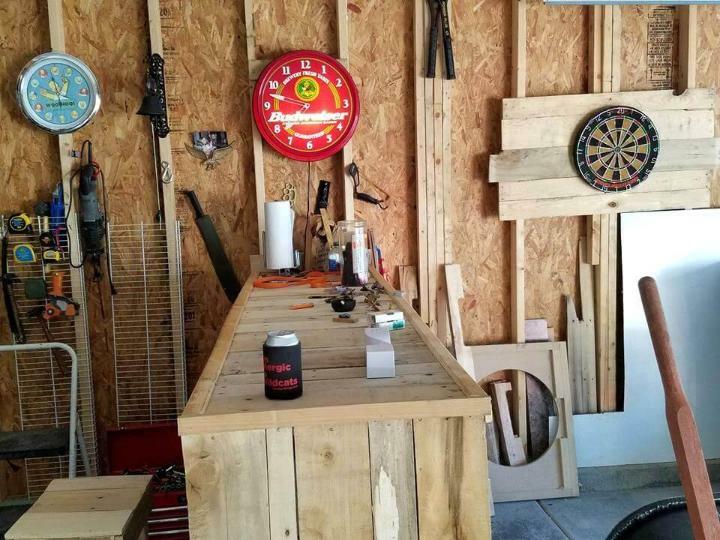 You can make designs, measure the slats, and hold things like spray paint cans, hardware jars so that your working space is organized and helps you to work in a comfort and easy environment. 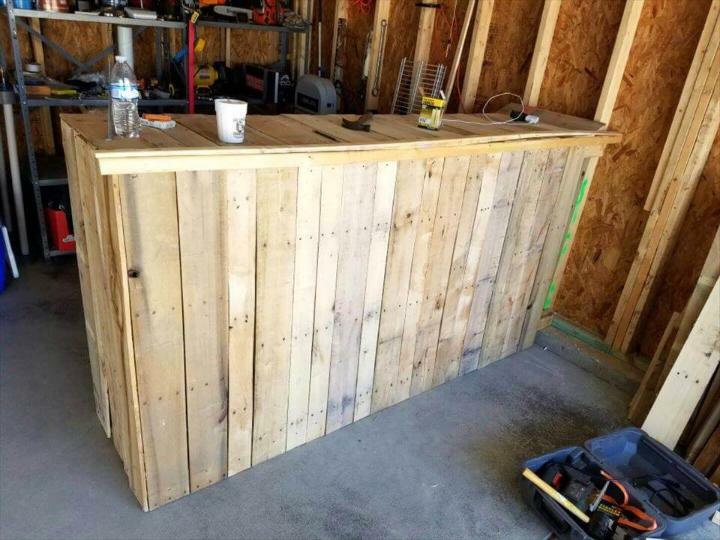 The work bench or counter is really a rustic piece in its unfinished look and reveals the distressed and rustic wooden tone all over and can be painted in any stain making it look more a beauty or stylish piece.